The Deputy President of the Senate, Senator Ike Ekweremadu, has urged Nigerians to pray for the quick recovery of the nation’s economy in the New Year. This was even as he called on the Federal Government to put the right policies in place to boost investors’ confidence and spend on infrastructure and critical sectors to reboot the nation’s economy. 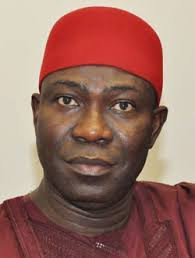 Ekweremadu, who made the call in his New Year message to Nigerians, expressed sadness over the current economic hardship faced by Nigerians, noting that the nation’s leadership needed divine guidance to take the right economic policies and steps. He added: “No doubt, 2016 will be remembered for unprecedented economic hardship for Nigerians, irrespective of social status, political, ethnic, and religious leanings. Therefore, we must all join hands to seek the face of God for quick economic recovery and peace in our land. “Importantly, the Federal Government, those in charge of the economy must rise to the occasion. We must assemble the best hands, irrespective of where they come from, to lead the nation out of the economic wilderness”. The Deputy President of the Senate also tasked the Independent National Electoral Commission (INEC), the security agencies, and political elites on improved electoral process ahead of 2019. “We must restore the confidence of our people in the ballot box. They must freely vote and their votes must count, devoid of all forms of intimidation, manipulation, and political excesses”, he stressed. He wished Nigerians a happy celebration and prosperous New Year.